[T]he media has been very effective in imprinting the almost successful ‘psy-war-operation’ in our collective mind. Despite MASSIVE scientific evidence of foul play, the big media is still trying to push down the ‘Ministry of Truth’ narrative with all their might. In 2009, Beeth set up a window display with neon lights and 9/11 truth videos playing. 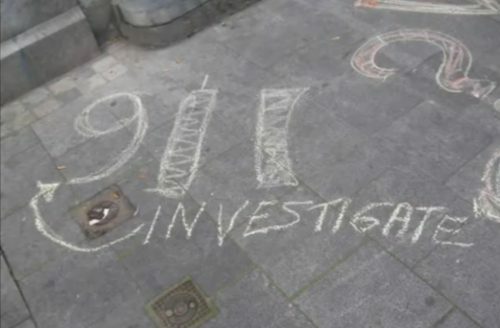 He called it the “9/11 Truth Garage Sale.” Beeth and his associates were arrested on September 11, 2010 for chalking the sidewalk with their conspiracy theories. 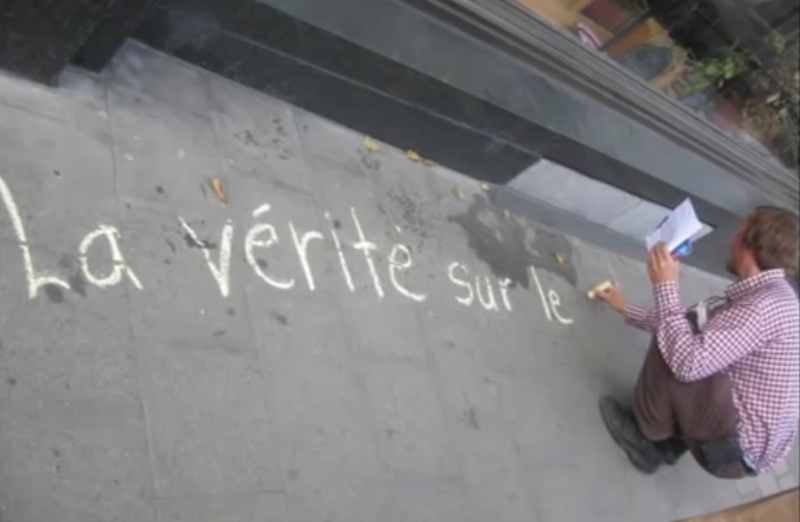 Below are examples of the graffiti. Dr. Beeth seems to be the individual in the first two photos. Beeth has also campaigned against vaccines, and one his rants his featured on the infamous conspiracy theorist site Whale.to. Given that he’s known to treat Lyme patients, the EU-based chronic Lyme organization Time for Lyme-BE-NL was very excited to have Beeth speaking at their event.